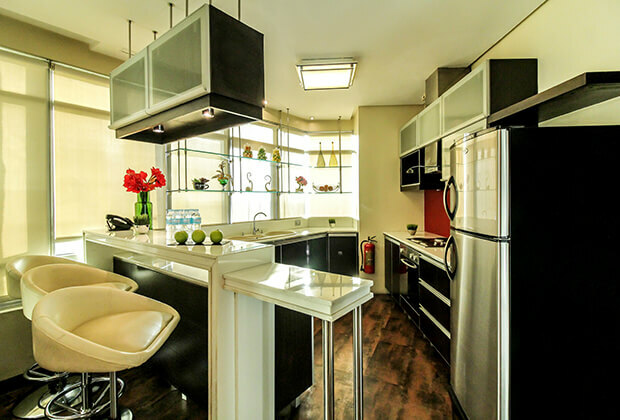 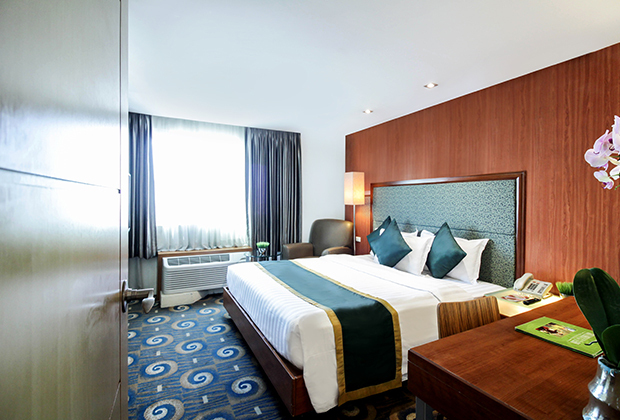 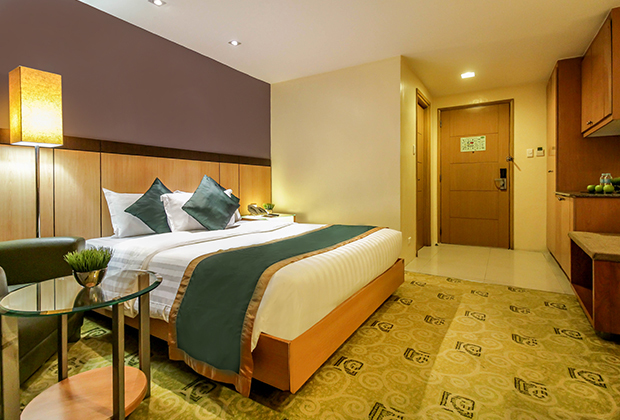 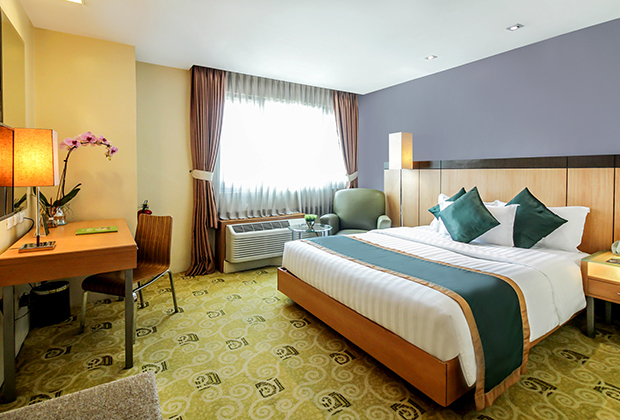 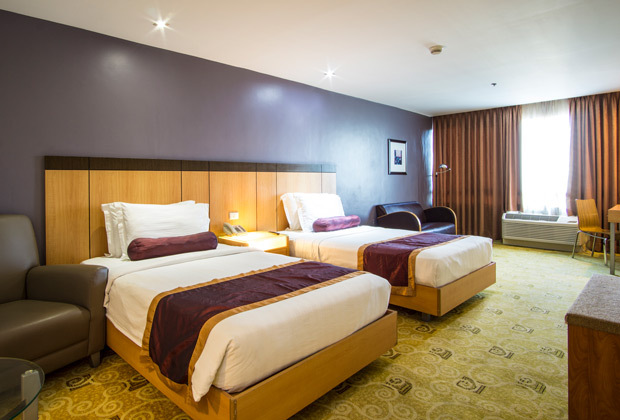 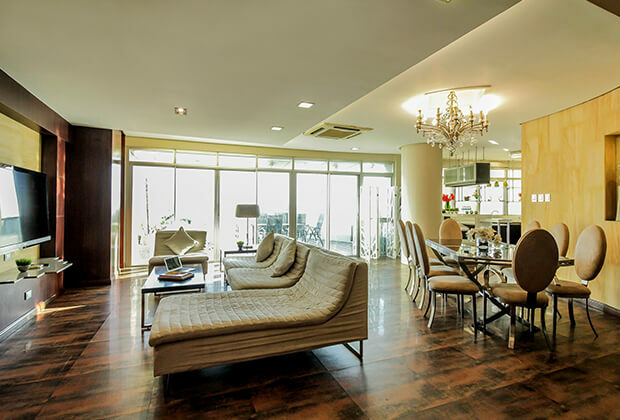 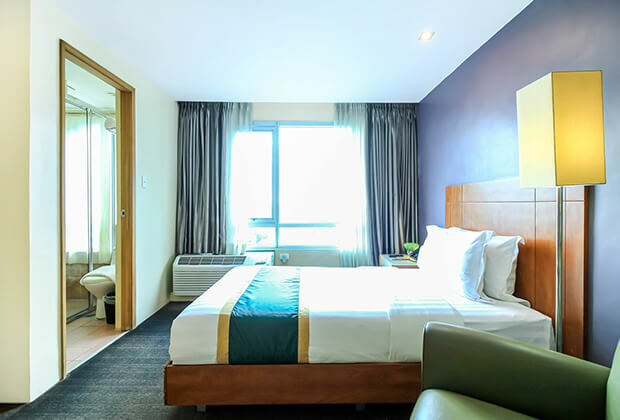 Our accommodations in San Juan City, Metro Manila are cozy urban havens that spell elegance and convenience. 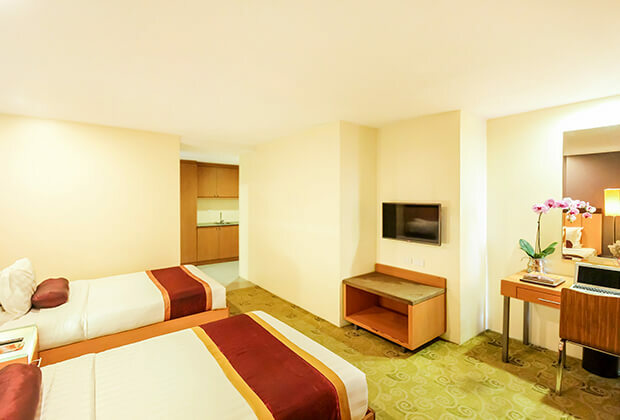 Each room and suite is fitted with choice, chic furniture bathed in a pool of warm earth tones and stylish patterns. 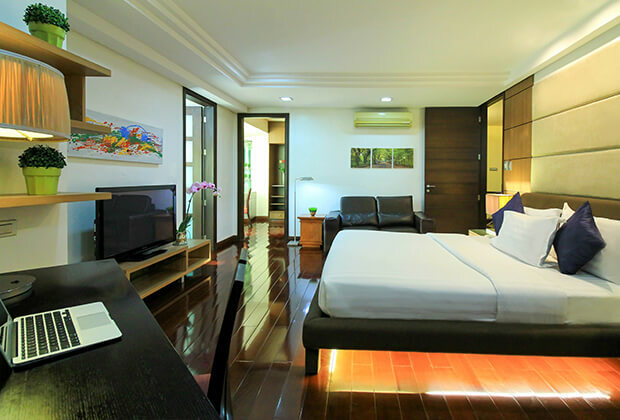 All lodgings also feature an array of practical comforts that guarantee ease. 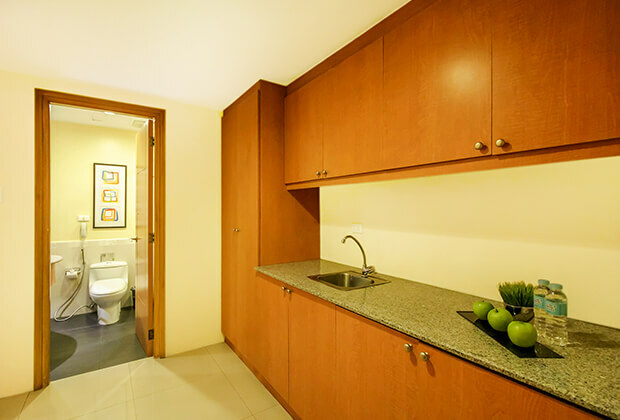 This includes a cable TV, air-conditioning, desk, and private toilet and bath. 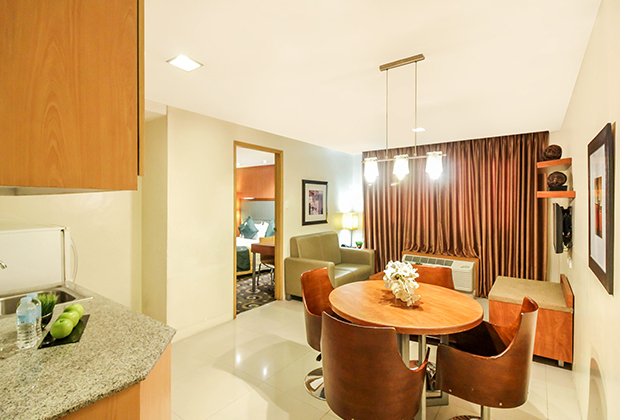 Single/double occupancy, caters up to 2 adults and 2 children. 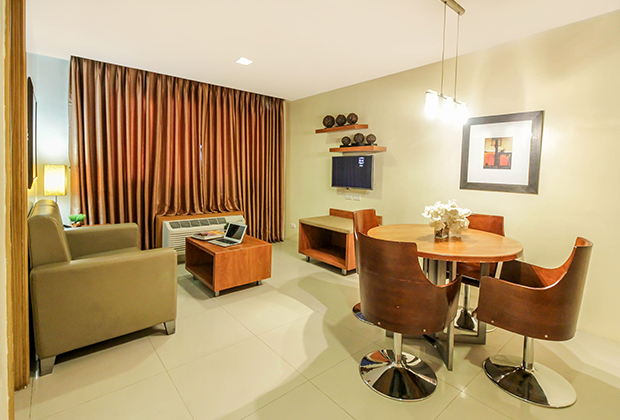 The ideal family room, good for up to 2 adults and 2 children. 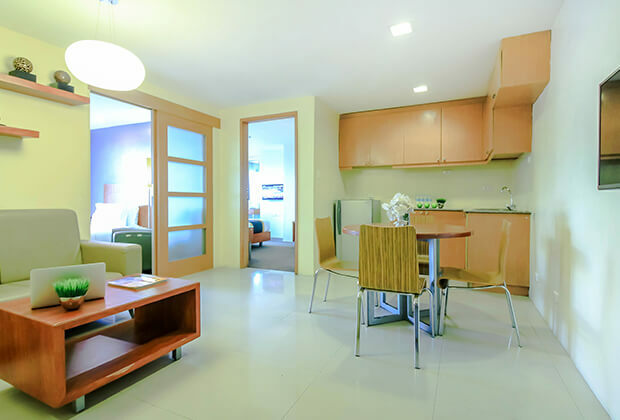 Offers more space for families of up to 2 adults and 2 children. 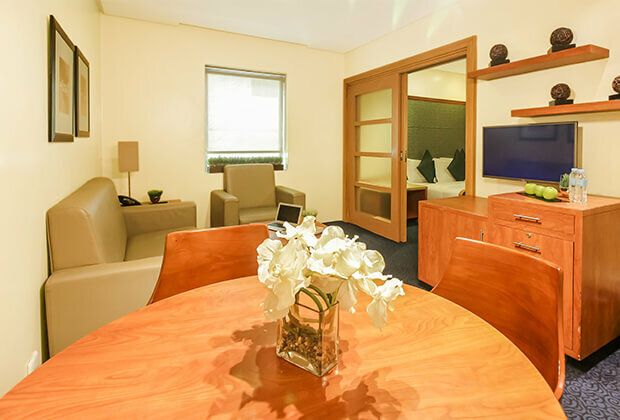 A romantic room choice for couples on a city staycation. 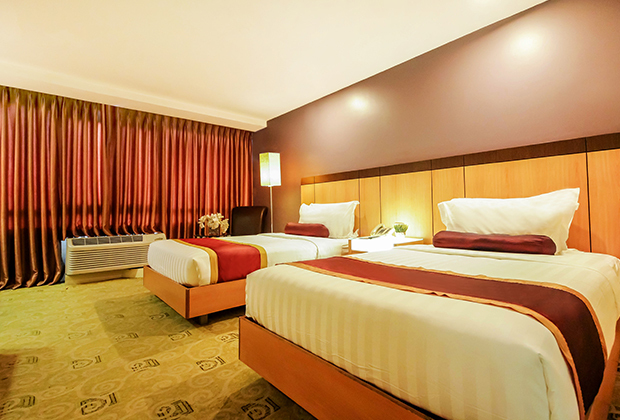 Meets the needs of the busy traveling businessman. 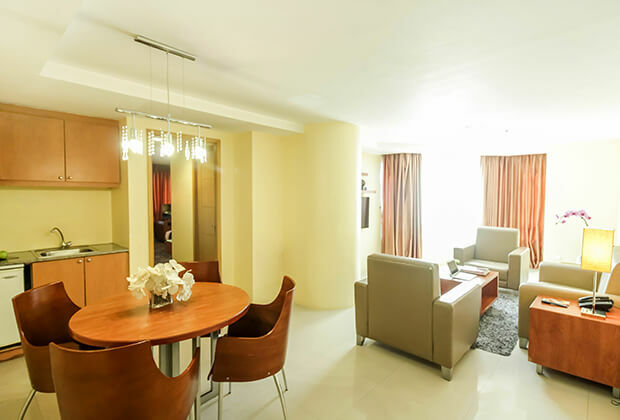 Palatial and spacious, ideal for couples and honeymooners. 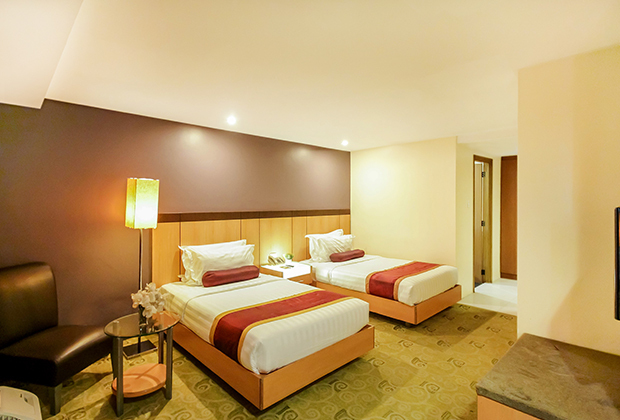 Best for long staying groups or family of up to 5 adults and 2 children. 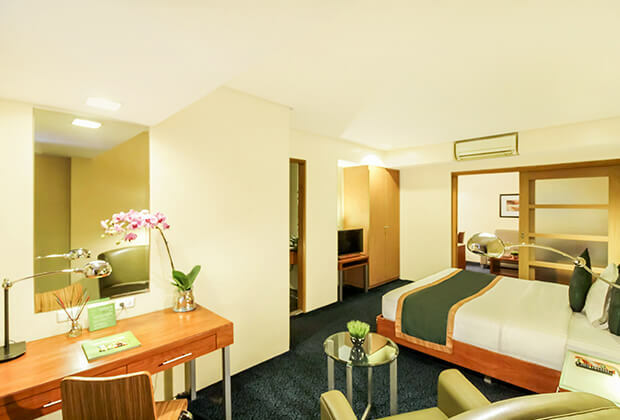 Check-in time at Greenhills Elan Hotel Modern is 2 pm, while check out is 12 noon the next day, following local time (+08:00). 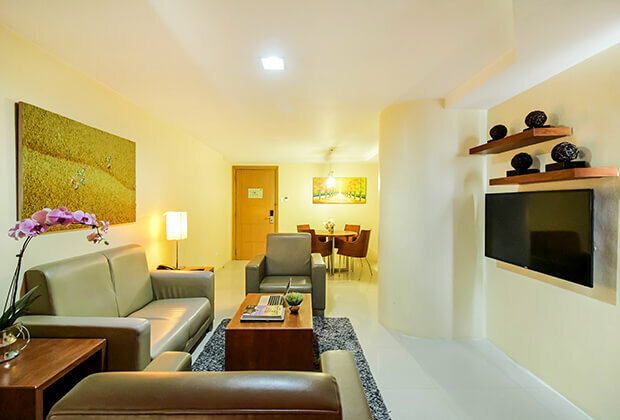 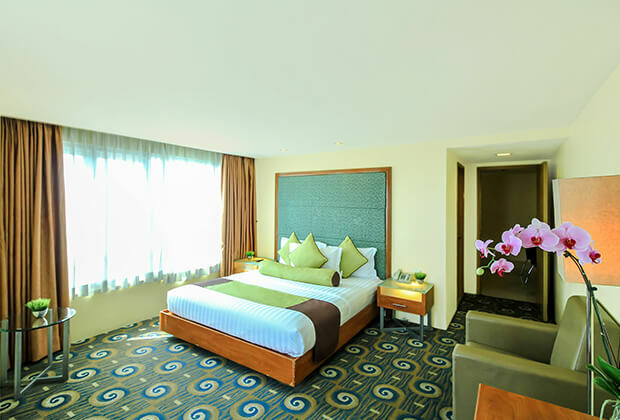 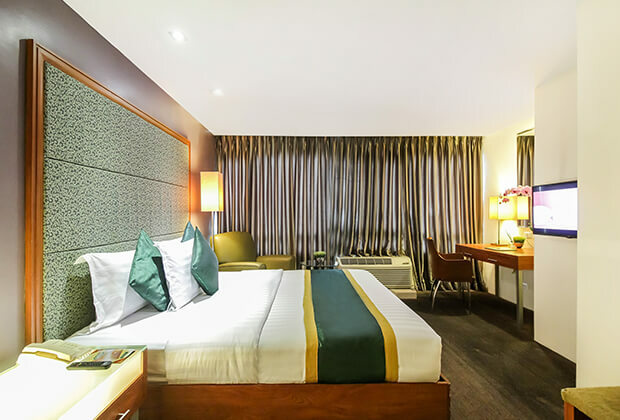 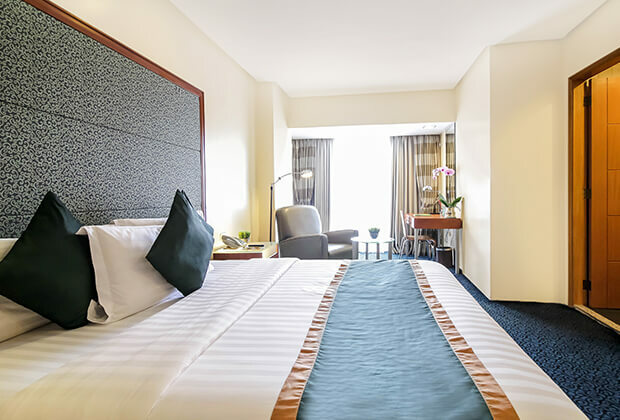 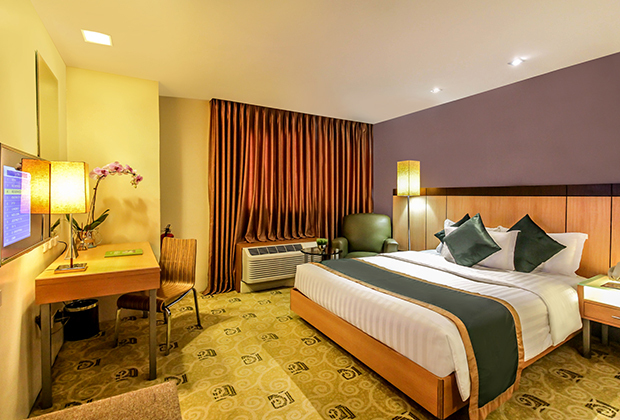 All our San Juan accommodations in Greenhills, Metro Manila can be booked directly online.